Prestressed Concrete: Prestressed concrete is a method for overcoming concrete’s natural weakness in tension. It can be used to produce beams, floors or bridges with a longer span than is practical with ordinary reinforced concrete. 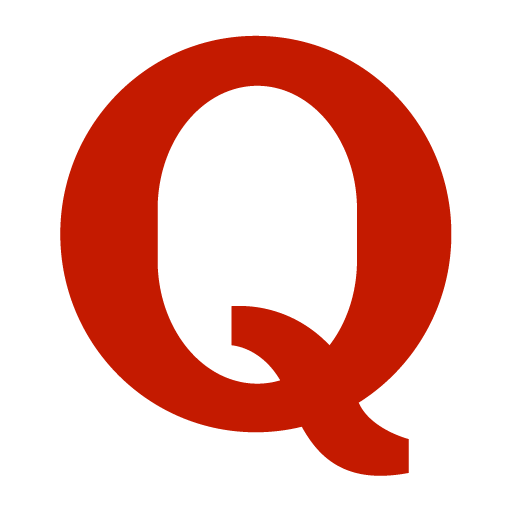 Concrete in which there have been introduced internal stresses of such magnitude and distribution that the stresses resulting from given external loading are counteracted to a desired degree. Three different concepts are applied to explain and analyze the basic behavior of this form of prestressed concrete. First Concept: Prestressing to transform concrete into an elastic material. This concept treats concrete as an elastic material. By the precompression concrete turns to elastic material from brittle material. To withstand tensile stress, brittle concrete is compressed by steel in high tension. It makes concrete strong. If there are no tensile stress in concrete, there can be no cracks and concrete becomes an elastic material. Second Concept: Prestressing for combination of high strength steel with concrete. This concept refers to the act of prestressed concrete as a conjugation of steel and concrete. In reinforced concrete, Steel takes tension and concrete takes compression and resist external force as a couple. In prestressed concrete high tensile steel is used. If that steel normally used as reinforced concrete the crack will be sooner and larger. So in prestressed concrete it is used by desirable stress and strain in both material compressive stresses and strains in concrete and tensile stresses and strains in steel. This combined action permits safe and economical utilization of the two material which can not be achieved by normally buried steel in concrete as reinforced concrete. It is an extension and modification of the application of reinforced concrete to include steel of higher strength. Third Concept: Prestressing to achieve load balancing. This concept refers to the utilization of members role when taking loads. Prestressed concrete act as balancing the gravity loads so that members under bending such as slabs, beams, and girders will not subjected to flexural stresses under a given loading condition. This enables the transformation of a flexural member into a member under direct stress and thus greatly simplifies both the design and analysis of otherwise complicated structures. 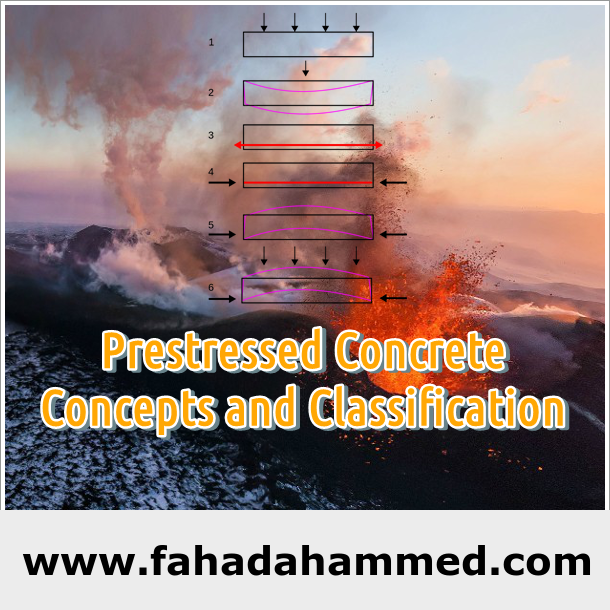 Classification and Types: Prestressed concrete can be classified in a number of ways depending upon their features of design and construction. Externally or Internally Prestressed: This type of prestressed concrete is produced by jacking against abutments like arch or externally prestressed by jacking at the proper places to produce compression in bottom fibers and tension in top fibers. In continuous beam it is adjusted by the level of support by inserting jacks to produce desirable reaction and prestressed. Linear or Circular Prestressing: Circular prestressed are the members like tanks, silos and pipes where prestressing tendons are wound around in circles and thus prestressed. In linear the tendons are used by either bent or curved but do not go round as circles. Pretensioning and Posttensioning: Pretensioning means the method of prestressed by giving tension in the tendons before concrete is placed and posttensioning means the method of prestressed by giving tension after placing concrete. End-anchored or Non-End-Anchored Tendons: By mechanical devices anchors are placed in end or sometimes in middle by tendons and then prestressed to the concrete. It is for posttensioning method. In pretensioning method the tendons are transmitted stress by bonding by wires. Bonded or Unbonded Tendons: Bonded tendons means bonded throughout the length of concrete. Non-end-anchored tendons are bonded but end-anchored tendons are either bonded or unbonded. Precast, Cast-in-Place, Composite Structures: Precast means concrete is casted away from its final position. Cast-in-Place means concrete is casted in the final place. Precasting permits better control in mass production and also economical. There are tilt up wall panels and lift slabs which are constructed at places near the final place or within the structure and then erected where no transportation needed. These type of structure are called composite structure. Partial or Full Prestressing: When a member is designed so that under the working load there are no tensile stresses in it then the concrete is said to be fully prestressed. If some tensile stresses produced under working load then it is partially prestressed.